Fresh Soft Cheese Natural, in its own milk. Fresh, Healthy and Simply Delicious! 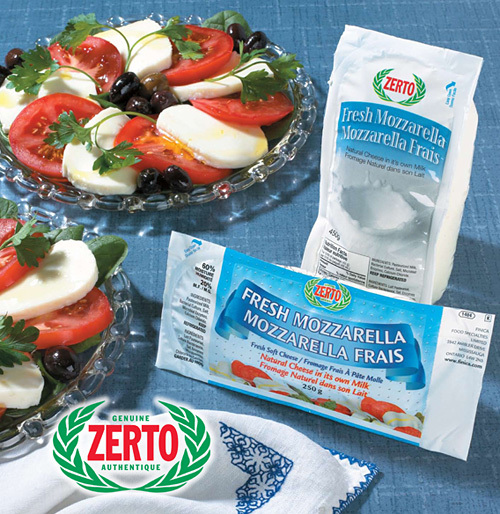 Zerto Fresh Mozzarella is made with nothing but pure fresh milk! Its creamy texture and mild flavour are much softer than mass produced regular Mozzarella. Also available in Smoked Mozzarella.